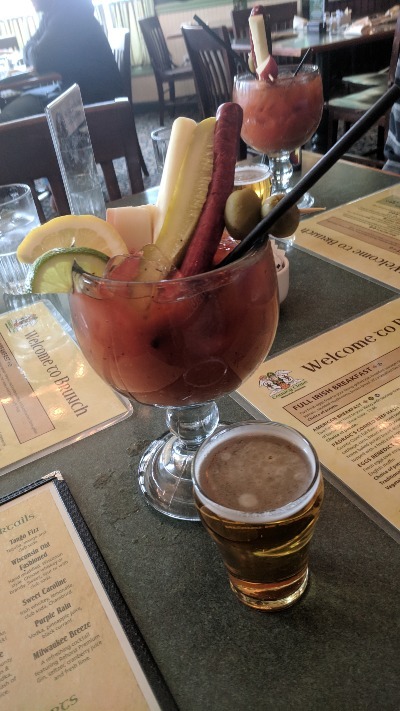 Great Bloody Mary! The base (juice) is thick and tasteful. Like a pizza -- a great Bloody Mary starts with the "sauce". The red potato as part of the garnish (salad) is a nice touch. The bartenders at County Clare are absolutely incredible! I recommend!